We're thrilled to have Jillian Cantor back at CLC today. The last time she visited was in 2010 when her contemporary novel, The Transformation of Things, was published. 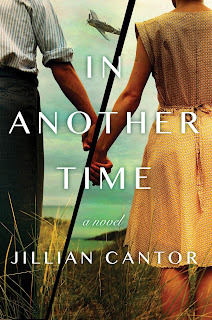 This time around, she's here to talk about her latest historical fiction novel, In Another Time, which publishes next week. 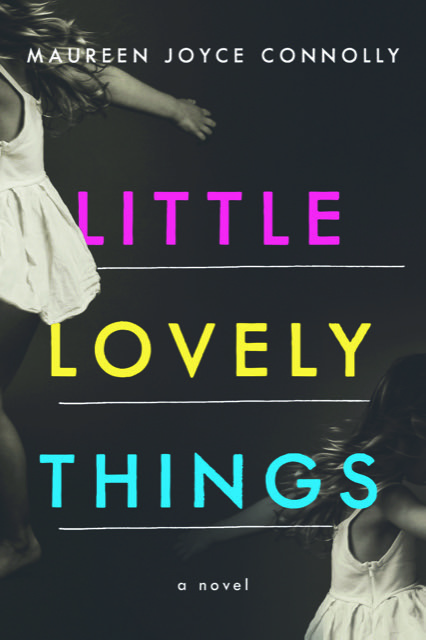 It sounds intriguing and Melissa A has it near the top of her TBR pile! Thanks to Get Red PR, we have one copy to give away! After writing contemporary fiction, how did you decide to switch to historical fiction? My first historical novel was Margot (published in 2013), and I didn’t so much decide to switch to historical fiction but decide I wanted to write a novel about Margot Frank, and I understood that in order to do it the way I wanted, it needed to be historical. 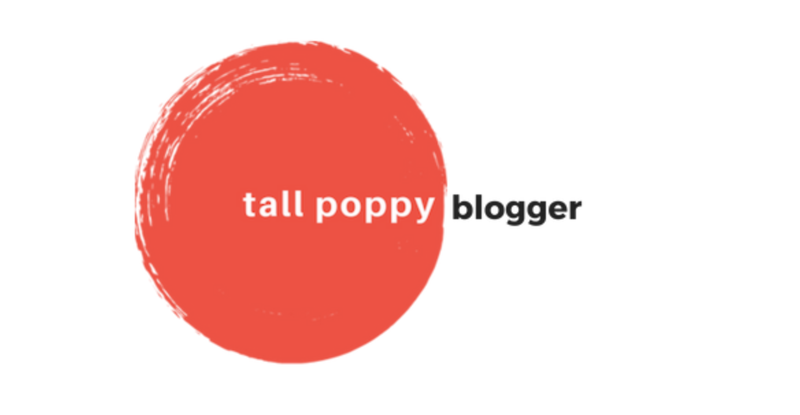 From there I realized I really enjoyed immersing myself in other time periods and writing about women who have been largely overlooked in history books. What is something you learned while writing In Another Time? Just after I’d started writing I went to speak with a Holocaust survivor’s group about my last novel, The Lost Letter. One woman shared with me that her family lived in Germany as Hitler was coming to power but her family refused to the leave because they were Germans too. Why should they have to give up their country? I thought about that a lot as I created Max and Hanna’s world in Germany. If In Another Time were made into a movie, who would you cast in the lead roles? I think Emmy Rossum would make a great Hanna, and I could see Ansel Elgort as Max. If you could live in another time period, what would that be? I’m not sure I’d want to live in another time? I love all my tech gadgets in our time, and many of the times I write about weren’t the best for women or Jews to live in. But if I had to choose, I was in high school in the early 90s, and I feel like in many ways it was simpler than what my kids are facing today entering high school. I didn’t have a cell phone but I’d just gotten email and (dial-up!) internet. No social media and we still made actual phone calls on landlines. What is your go-to restaurant and your go-to meal at that restaurant? There’s a local bar and grill about five minutes from my house and close to where one of my kids has a weeknight activity. We pretty regularly drop him off and grab dinner there once a week. I always order fish tacos and sometimes a glass of rosé. What is the last thing you won? The last game I won was a game of mahjongg with my friends. The only contest I’ve ever won was a raffle I entered at a fundraiser at my son’s preschool 10 years ago. I won the grand prize -- two roundtrip Southwest tickets. It was very exciting! I’ve never won anything like that before or since. Thanks to Jillian for chatting with us and to Get Red PR for sharing her book with our readers. I met Greer Macallister at a book signing a couple of years ago. She and Pam Jenoff were talking about their latest historical fiction novels at an independent bookstore in the DC area. After meeting Greer, I decided to give her debut, The Magician's Lie, a try. 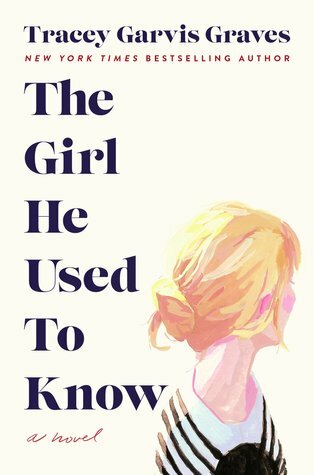 I loved it and shortly afterward, I purchased Girl in Disguise (which I hope to read soon). 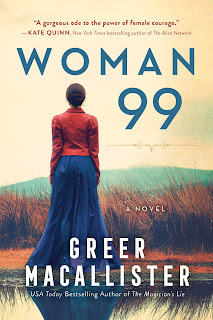 I'm excited to check out her latest novel, Woman 99 (Sourcebooks, March 5, 2019), which has a very interesting premise. Greer has one copy to share with a lucky reader! The longer she stays, the more she realizes that many of the women of Goldengrove aren't insane, merely inconvenient — and that her search for the truth threatens to dig up secrets that some very powerful people would do anything to kep. What was your inspiration for writing Woman 99? Two very different things came together to inspire Woman 99. One was the amazing true story of Nellie Bly, intrepid 19th-century reporter, who wanted to expose the terrible conditions at a notorious New York City asylum called Blackwell’s Island. So she decided to see if she could act insane and get herself committed in order to investigate from the inside. And it worked. Secondly, and this will sound a little odder, I was listening over and over to the Elvis Costello song “(I Don’t Want to Go to) Chelsea” because it has this insistent, intense beat I couldn’t shake. When I heard this section in the lyrics – “Men come screaming, dressed in white coats/ Shake you very gently by the throat” – the fictional Goldengrove Asylum started to come together in my mind. 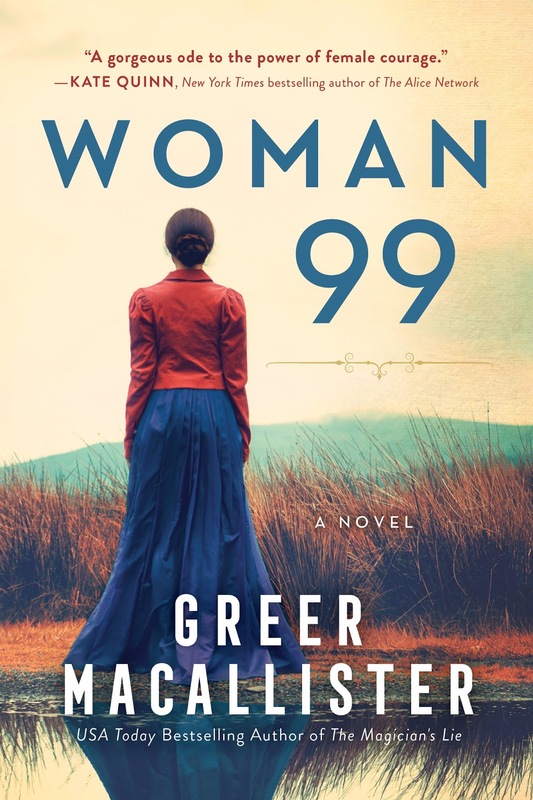 What is the best compliment you received on a previous novel and what is feedback you used when you wrote Woman 99? Whenever someone tells me Girl in Disguise made them cry, I never know quite what to say in the moment, but it always makes me really happy. It means my work had a real emotional impact. That’s a huge compliment to a writer. The feedback I incorporated into Woman 99 was feedback on the idea rather than the text itself. After I’d sold the book but was early in the stages of writing it, as soon as I described the book as “set in an insane asylum,” about half of the people would respond with “oh, that sounds depressing.” But it’s really not a depressing book! 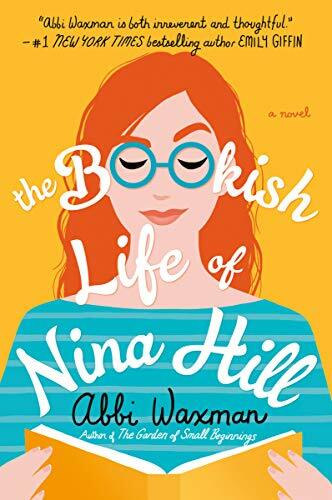 So I got very conscious of balancing the darker aspects of the setting with sisterhood and wit and flashbacks and an overall arc that’s inspiring, not depressing. And I think it’s a better book because there’s light to balance the darkness. If you could cast Woman 99 as a movie, who would play the lead roles? I had very clear mental models for most of the main women as I was writing: the Fanning sisters, Elle and Dakota, as Charlotte and Phoebe; Krysten Ritter of “Jessica Jones“ as Nora; and Gugu Mbatha-Raw as Martha. After I heard the statistic that we only use 10% of our brains – I think I was in fourth grade – I was convinced that the only reason people can’t move objects with our minds is that no one has the patience to practice enough. So I was pretty sure that if I practiced every night for a year, my telekinesis would kick in. As you might guess, I did not make it a whole year. Maybe a week and a half. What is the last thing you purchased for yourself? Two chocolate bars from the gift shop at the National Aviary in Pittsburgh, where I learned about “bird-friendly” chocolate—they had a whole program about making sustainable choices to help preserve bird habitats. So I got to support conservation efforts… and eat chocolate. Win/win. Besides the release of Woman 99 (yay! ), I’m reviving my WomensHistoryReads Q&Q&Q&A interviews for Women’s History Month this March. Last year I ended up interviewing 60+ writers inspired by women from history over two months; this year my plans are a little more modest. I’ve got some great interviews coming, including Amy Stewart, Chanel Cleeton, Jennifer Robson and more. Q&Q&Q&As will be appearing regularly at greermacallister.com/blog all March long. Thanks to Greer for visiting with us and sharing her book with our readers. Giveaway ends March 3rd at midnight EST. Little children are afraid of monsters – the thing under the bed, the thing hiding in the closet. Teenagers enjoy the thrills of vampires, supernatural serial killers, and zombies. But adults know that monsters are real, and the worst monsters of all are the ones who seem just like us. In Maureen Connelly’s debut, Lovely Little Things, medical resident Claire Rawlings wields a bottle of monster spray in her daughters’ room every night. 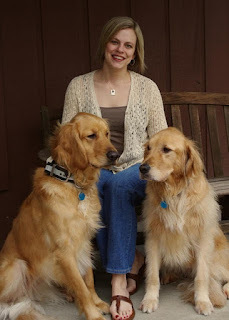 Her girls, Andrea and Lily, are one and four, and between trying to take care of them, finish her medical training, and enjoy her relationship with her husband, Claire is exhausted. Driving them to daycare one day, she’s overwhelmed by illness and stops in a gas station bathroom in a seedy neighborhood, leaving the girls in a running car. When she regains consciousness, the car—and the girls—are gone. 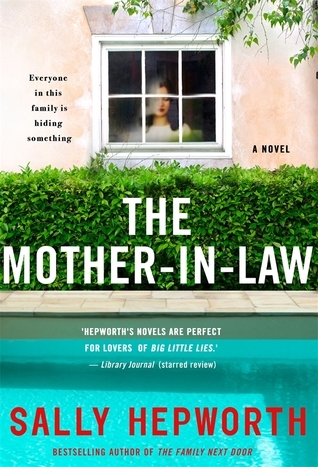 When I first picked up this book, I thought it would be similar to other domestic thrillers about mothers and missing children. I fully expected a fast-paced ride, with everyone doubting Claire, and Claire questioning her own sanity. The novel was not what I expected – in fact, Claire isn’t even the only point-of-view character. Because of this, the plot loses momentum about halfway through, years pass, and the book becomes more women’s fiction and less thriller, with aspects of spirituality thrown in. Connelly makes an interesting choice to have the girls’ kidnapper as a point-of-view character. Because of this, there’s no mystery to the reader about what happened to the girls. But it does give the book a sense of inevitability for events that occur during the novel’s final third. 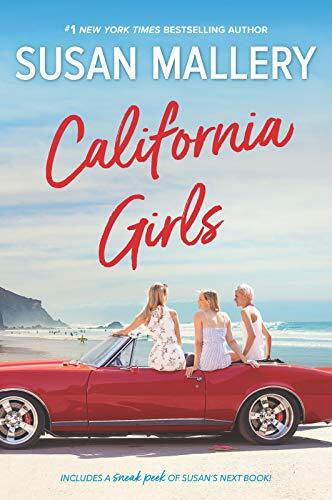 The girls are taken because the kidnapper sees Claire and thinks she’s a junkie; this is a terrific set-up with no pay-off (She never finds out the truth; there’s no attempt to find out anything about the girls.) Connelly tries her best to make the kidnapper somewhat sympathetic, but she’s a Traveler (Gypsy) on the run with another Traveler, and the two of them are so different from Claire that it felt like the author was making a statement about this group. I wondered how the book would have differed had the kidnapper been someone with a good heart who’d made a fatal mistake instead. Another point-of-view character is a Native American who crosses paths with the kidnappers and has visions about the girls; he is wholly sympathetic, but again, the “otherness” sends a subtle message about minority groups that I don’t think the writer meant to convey. Still, I enjoyed the book despite its issues with pacing. Claire is a fully formed protagonist that any woman can identify with, even though she disappears for chapters at a time. And the ending made me cry, which is the best endorsement a reviewer can offer. Thanks to Suzy Approved Book Tours for the book in exchange for an honest review. I was hoping that California Girls was the next installment in the Mischief Bay series, but it's a standalone novel. However, it has a similar feel to that series and it would have fit in well. I was even hoping Zennie's best friend would be Hayley from The Friends We Keep. Mary Jo reminded me of the mom in Sisters Like Us at times. The story was great overall. I felt a kinship with all three sisters. Some of the guys were too good to be true and Daniel is now my new book boyfriend. I had a great time reading it and didn't want it to end, even though I did want to know how things would turn out. I even got teary-eyed at one point. I hope there will be a follow up story or that the sisters will have cameos in other books. We'd like to welcome Joanne Serling to CLC today. Her debut, Good Neighbors, recently celebrated its first birthday. Joanne is excited to share TWO copies with some lucky readers! In one sentence, tell us what your journey to publishing was like. The road was long and at times, difficult (looking for an agent for eight months!) but the results were joyful and life changing; I realized that with enough grit, I could reach any goal. 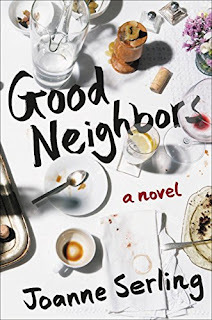 What is the inspiration behind Good Neighbors? If you’ve ever had young kids, then you know how easy it is to jump into intense friendships with people you hardly know just because you both have kids that are the same age. I know I was often guilty of that, and I wanted to explore this phenomenon. I also wanted to write about denial and explore the gray space between empathetic acceptance and something more dangerous like deceit. I wanted readers to ask themselves what they would do if they suspected a friend or neighbor was subtly mistreating, or even abusing, a child. All of these ideas bubble up in my novel. If a movie were made about Good Neighbors, who would you cast in the lead roles? Good Neighbors explores the world of four suburban families who consider themselves “like family.” When one of the couples, Paige and Gene Edwards, adopts a four-year-old girl from Russia, the group’s morality and loyalty are soon called into question. Are the Edwards unkind to their new daughter? Or is she a difficult child with hidden destructive tendencies? The story is told by neighbor Nicole Westerhof, an insightful if unreliable observer who has her own hidden demons. I have always considered Amanda Peet the perfect actor to play Nicole; she has incredible emotional range and can appear both likable and emotionally unsteady. Even more unreliable than Nicole is Paige Edwards, the beautiful yet cold adoptive mother who is slightly unstable and highly manipulative. I’m certain that Margot Robbie could nail this part. Two other friends complete this neighborhood tableau. Lorraine Weinberger is a good-natured gossip who stops by Nicole’s house nearly every day after work to rehash the day’s events and trade stories about Paige’s strange behavior. Drew Barrymore could pull off this part with aplomb. The fourth ‘friend,’ is Nela Guzman-Veniero, a corporate lawyer who works long hours in Boston. She has serious misgivings about being associated with the other neighbors and insists that “in Puerto Rico, you don’t get involved with your neighbors.” Tiffany Haddish, though neither Puerto Rican, nor as serious as Nela, would make this role her own, spicing up Nela’s brand of feisty resistance. My family loves when I make Pasta Carbonara. It’s much more decadent than the normal fare I prepare, so when I make it, it feels like a special occasion and everyone’s grateful and cheery. In reality, however, I love to bake more than I love to cook. If it’s snowing, I’m making cookies or brownies or my famous Nutella swirl cake. If money was not an issue, where would you go on vacation right now? I am currently watching a documentary TV series called Tough Rides created by two brothers Ryan and Kyle Pyle who took a 60-day motorcycle journey around the entire perimeter of India. If I could, I’d get on a plane right now and check out the memorable sights they document in this unforgettable country. But then, I love to travel and there are very few countries I’m not eager to visit. I was lucky enough to visit China for a month when I was still in high school and it gave me the travel bug. I spent the summer after I graduated college in Israel and Egypt and then moved to Seville, Spain for a year to teach English-as-a-Second Language. I’m proud to say that I’m still fairly fluent in Spanish, although my accent is truly awful. I’m a reading fiend so I can’t recommend just one. I really enjoyed CLOVER BLUE by Eldonna Edwards, a coming-of-age story set in a in 1970's California that’s coming out this May. It’s a fast read with wholly original characters that forces you to consider whether there’s such a thing as a healthy cult, and whether a heinous crime can ever be forgiven. Other favorites from the last few months are MY YEAR OF REST AND RELAXATION by Ottessa Moshfegh, THE WINTER SOLDIER by Daniel Mason, and THE GREAT BELIEVERS by Rebecca Makkai. Thanks to Joanne for chatting with us and sharing her book with our readers! Living the dream life as a model in New York City used to be enough for gorgeous Olivia Fulton. Now even the fame isn't enough to bring her out of her funk. A series of events bring Olivia face to face with the regrets of her past. 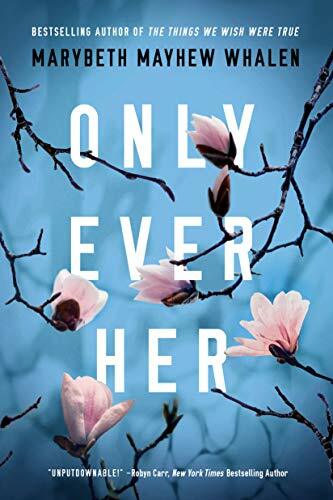 Add in the collapse of her three-year relationship and reconnecting with long-lost friends, and Olivia may finally be able to learn—the hard way of course—that everything she thought was important really isn't. 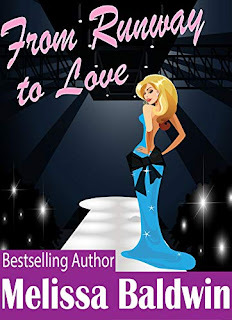 From Runway to Love is the third installment in the Love in the City series, with the first two reads giving us backgrounds into Olivia’s best girlfriends, with Stacy in On the Road to Love, and CJ in All You Need is Love. I enjoyed their points of view, and was eagerly anticipating Olivia’s. This last installment doesn’t disappoint! It was enlightening to witness such a big change in Olivia, in where her priorities lie and what’s most important to her. You get the impression that there was a time when the world had her on a pedestal, and it’s been a weighty fall. The change began in On the Road to Love, but you really see it and feel it when it comes from her own perspective. I enjoyed reading up on all three ladies and what life has thrown at them, but I felt most connected with Olivia. Maybe because I felt she had a lot more to lose, and the biggest transformation. Melissa Baldwin has done a great job of showcasing that, while still making Olivia into one of those characters you would love to get to know, to befriend, and has this flawless way of being the coolest person in the room. You can’t help but want to get to know her. While we’re used to only imagining what it would be like to have others worship us, it’s something that Olivia has to deal with. We get to see what that’s like, and how it’s not all it’s cracked up to be. This makes it hard for her where relationships are concerned, on whether she can find someone who meets the certain criteria society tells her she should look for in a mate, no matter what her personal feelings are. That can be a tough way to live life, and we get to see that struggle. While From Runway to Love is about Olivia and her quest in finding love, it’s also about her relationships with her best friends, mending bridges with family, finding a sense of direction and a place within the other people who she discovers are most important in her world. 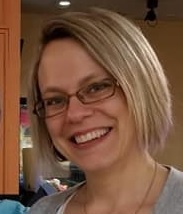 It’s an all-over quest, making her a much-needed well rounded individual, and someone you want to continue to get to know, because she’s just that great. I had a great time in reading her story, and reading all of the books in this series. Thanks to Melissa Baldwin for the book in exchange for an honest review. 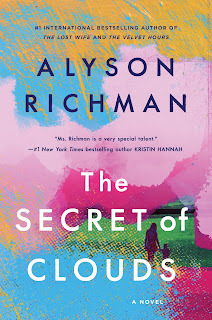 We're thrilled to have Alyson Richman with us to celebrate the publication of her latest novel, The Secret of Clouds. Thanks to Berkley, we have one copy to give away! 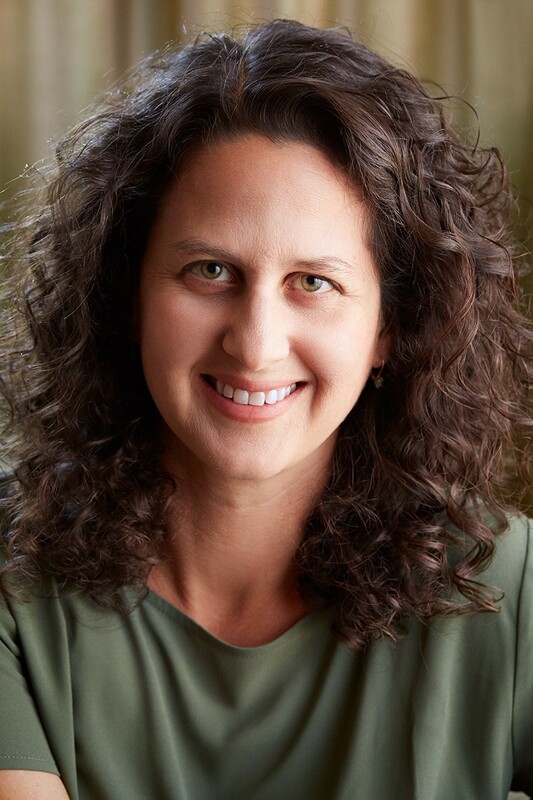 Alyson Richman is the #1 international bestselling author of seven novels including The Velvet Hours, The Garden of Letters, and The Lost Wife, which is currently in development for a major motion picture. The Secret of Clouds centers around the transformative bond between a mother and her son, and a teacher and her student. A story that will make readers examine what it means to actually live life with a full heart. Alyson spent her childhood in both Long Island and Japan, and is the daughter of an abstract artist and an electrical engineer, and graduated from Wellesley College with a degree in art history and Japanese studies. 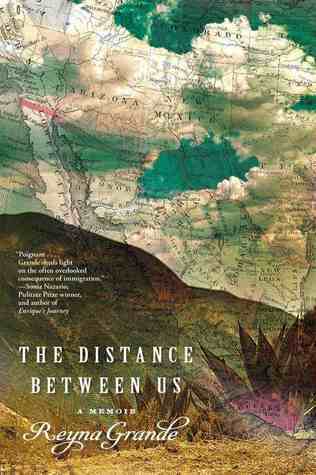 She herself is an accomplished painter, and her novels combine her deep love of art, historical research, and travel. 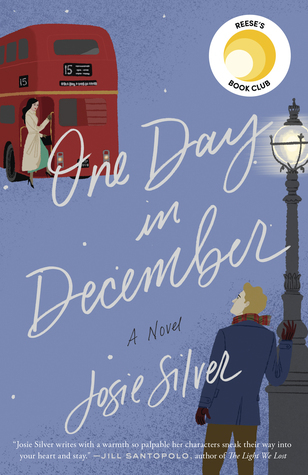 How did you decide to write a contemporary novel after writing historical fiction? I didn’t set out to write a modern-day story, but sometimes inspiration strikes and you just know in your heart that you need to pursue a particular subject matter. 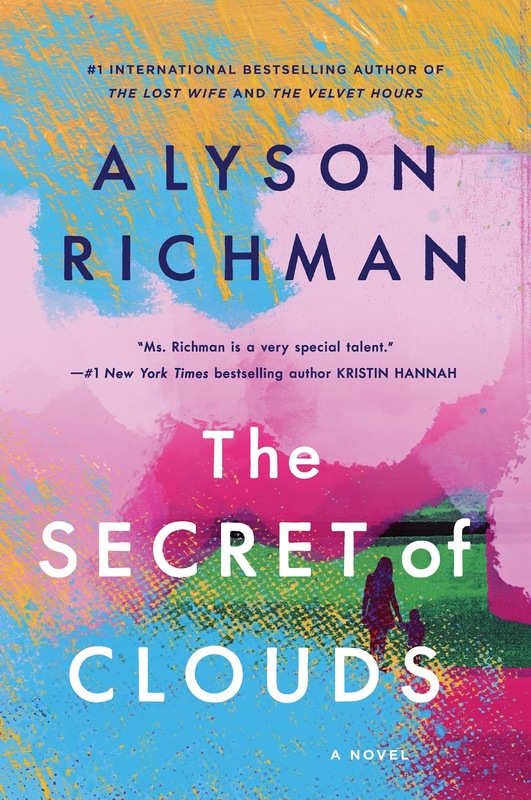 The Secret of Clouds was initially inspired by a story a dear friend and teacher shared with me, about how every year she assigns her third-grade class to write a letter to their future eighteen-year-old selves, and she holds onto those letters until the week they graduate high school a decade later. One year, she tutored a child who was too sick to attend school, but she still gave him the same writing assignment as the rest of her class, keeping his letter with those of her other students. 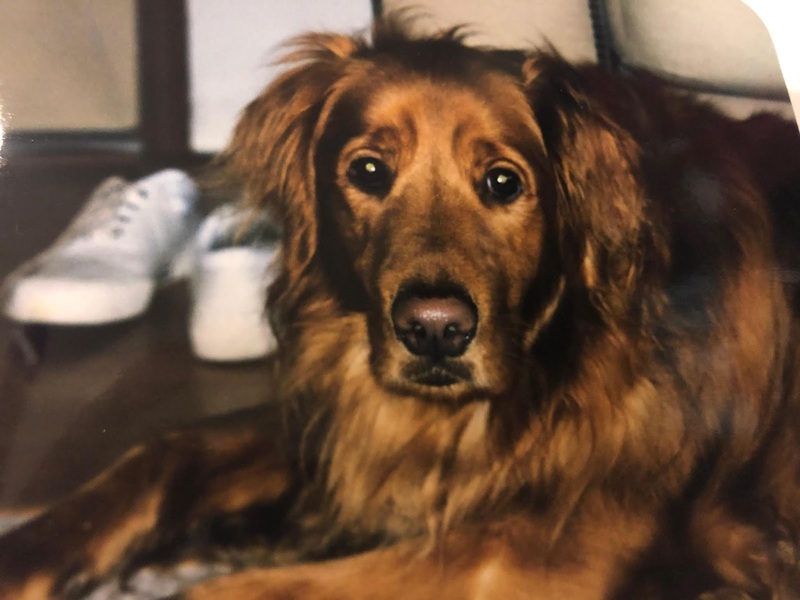 When it was eventually time for him to graduate, many emotional and poignant memories of those home-tutoring sessions returned to her, and she realized just how deeply this one particular student had transformed her. I was immediately struck by this profound and life-changing connection between a teacher and their students, which can transcend time and distance, and I wanted to explore that more deeply. Although the actual student whom my friend tutored had cancer, I decided to create a different backstory for my character that involved a little-known part of modern-day history, so that my readers who have loved my historical novels still felt they could learn something new while reading this book. I chose to have my student be a child of Ukrainian immigrants with a congenital heart defect that is believed to have resulted from his parents’ exposure to the Chernobyl nuclear accident in 1986. 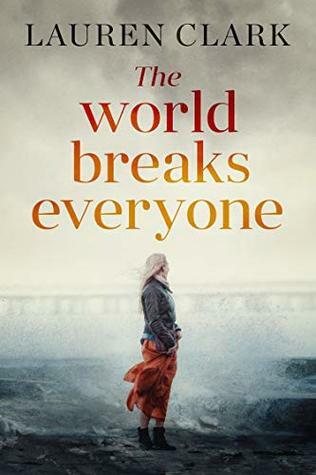 It was my hope to show how Yuri’s mother, a Soviet-trained ballet dancer, and his father, a scientist, find their lives in America unexpectedly turned upside down by the tragedy in their home country. Which authors have been your inspiration? Kristin Hannah and Alice Hoffman are huge inspirations for me, as each of them has written both contemporary and historical novels. I once had the privilege of having coffee with Kristin Hannah, and she told me that having written in the romance, contemporary and historic genres, every time she started a new project, she tries to give each of those differing readerships a little bit of what they all wanted with each book. 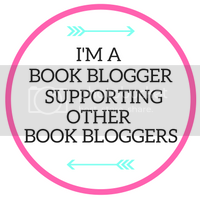 I think that’s a smart and sensitive way to make sure that you can continue to keep the various segments of your readership interested and looking forward to each new book that you write, and to hopefully also bring in new readers as well. If you could cast a movie version of The Secret of Clouds, who would play the leading roles? 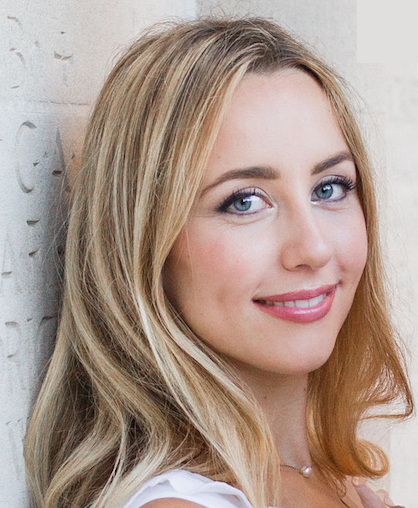 Maggie, as a young and enthusiastic teacher, is a very upbeat personality who is still trying to navigate the challenges of her professional and personal life. I can see Jennifer Lawrence or Emma Stone playing her very well. When I was writing Yuri, the 12-year-old boy that Maggie is called into tutor at home, I had the face of Jacob Tremblay in my head. He was so amazing in both Room and Wonder. What is your go-to movie snack? I’m definitely someone who prefers sweet to salty, so I’m going to have to say M&M’s would be my snack of choice. What is the last thing that made you laugh really hard? My children share a bathroom that is down the hall from their bedrooms. One night, my daughter came downstairs and said, “You’re not going to believe this!” I walked upstairs to find a trail of toilet paper running from the bathroom, down the hall and down two steps, toward my son’s bedroom. He was so tired that he didn’t notice that he had brought the paper all the way into his bed. I found him asleep with the paper still adhered to his foot! What music is currently playing in your car (or on your iPod, mp3, etc.)? Teddy Thompson, Adele, and Passenger, and I’ll always be an Ed Sheeran fan. I love that his songs are like short stories, much like Harry Chapin’s, which I’ve adored ever since I was a twelve-years old. His songs play a key role in The Secret of Clouds. Thanks to Alyson for chatting with us and Berkley for sharing her book with our readers. 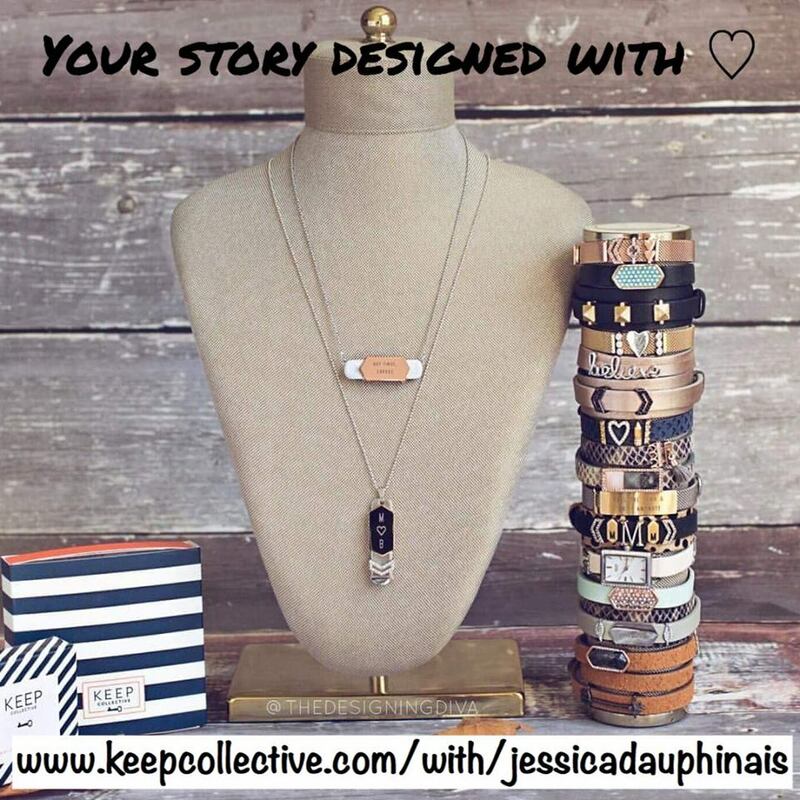 Giveaway ends February 24th at midnight EST. A random assortment of books! Print copies are US only, but if you are outside of the US and win, we'll send some e-books your way. We're pleased to have Kaya Quinsey here today to share her thoughts on Valentine's Day. 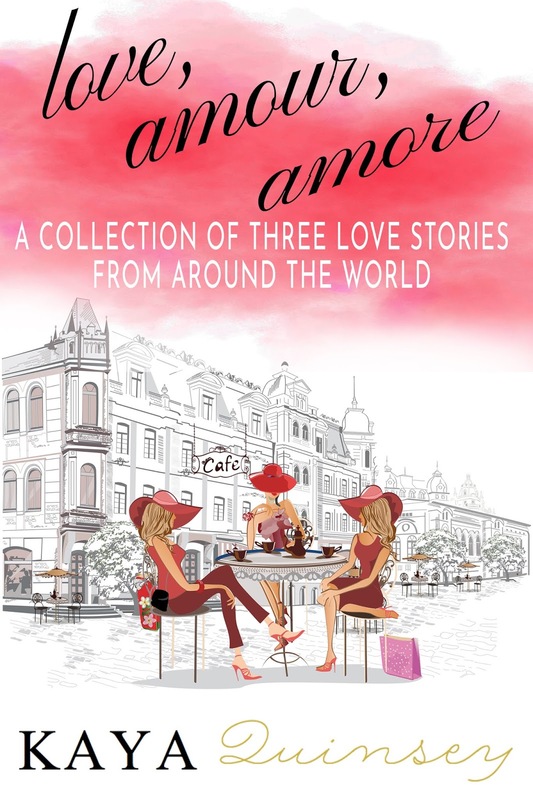 She has an e-book of her novella collection, Love, Amour, Amore, for one lucky reader. With Valentine's Day just around the corner, Kaya and her publishers at Books To Go Now decided to put together a compilation of her three sweet romance novellas to mark the occasion. But whether it's Valentine's Day or not, it's always a good time to celebrate love. 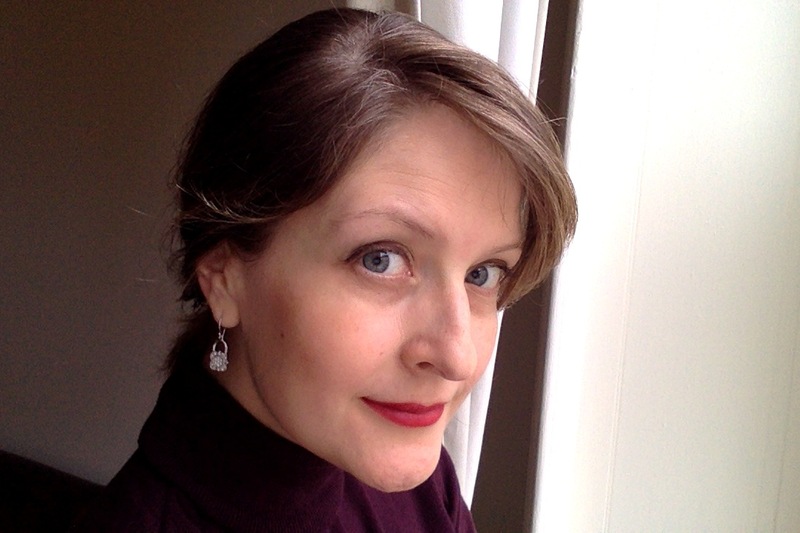 Kaya Quinsey is the author of Paris Mends Broken Hearts, Valentine in Venice, A Coastal Christmas, which are all featured in Love, Amour, Amore: A Collection of Three Love Stories From Around The World. She holds her undergraduate and master’s degree in psychology. Her work has sold in seven countries and been translated into foreign languages. 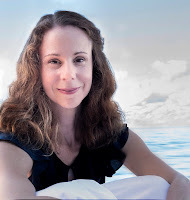 Kaya’s passion for culture, travel, and psychology blend for a reading style that is fun, full of surprises, and easy to read. A romantic at heart, Kaya’s writing offers a contemporary twist to traditional love stories. 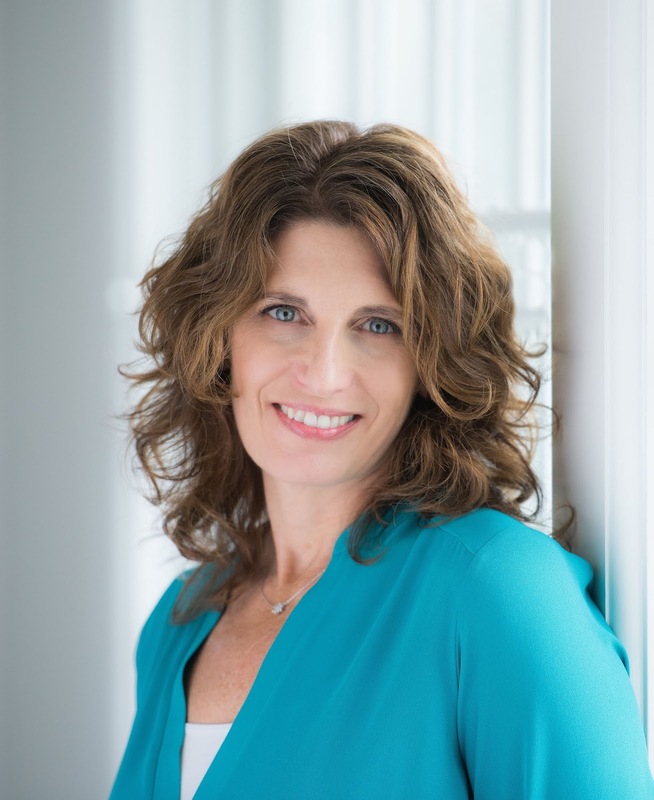 Through her stories, she hopes to inspire readers to fiercely chase their dreams. Visit Kaya at her website, Twitter, and Instagram. 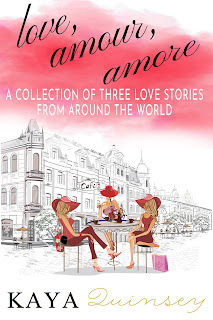 Love, Amour, Amore: A Collection of Three Loves Stories From Around The World, is just that - a compilation of Kaya's three romance novellas, which take place in Venice, Paris, and the fictional coastal community of Pebble Shores. Love, Amour, Amore is an anthology featuring the stories Valentine in Venice, A Coastal Christmas, and Paris Mends Broken Hearts. All three stories offer something a little different - a story of love rekindled, love found where it is least expected, and finding love after loss. Valentine in Venice is about rekindling that first love. Valentine Wells returns to Venice. After having visited ten years earlier when she was just sixteen years old, it was where she had impulsively met Lorenzo Dipachio. Her first kiss. Her first love. Now twenty-six, Valentine is a successful wedding photographer in Chicago. Still impulsive, Valentine is recently divorced after being married for about a minute in Las Vegas. And she doesn't miss the irony of being a divorced wedding photographer. Also dealing with her mother's recent diagnosis of early-onset Alzheimer's, Valentine's father convinces her that she needs a break. 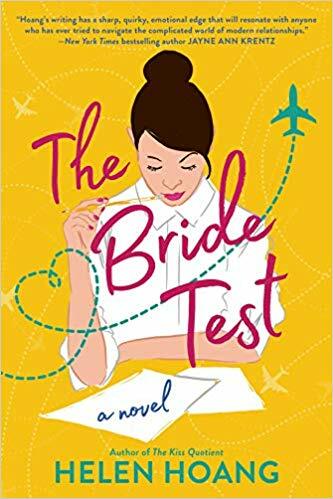 Now that she is back in Venice, Valentine wants to prove to herself that she's no longer the impulsive, daring girl who got married (and quickly divorced) in Vegas to a man she barely knew. Now, she is living by a new set of rules: planned, cautious, and carefully executed. A Coastal Christmas is about finding love where (and when) it is least expected. 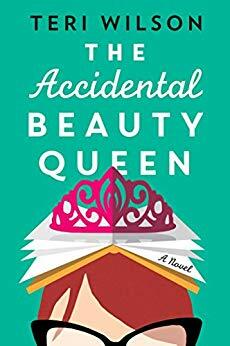 Successful broadcaster Jessica Beaton has it all: the perfect New York City apartment, high-flying career, and handsome boyfriend. And with Christmas around the corner, she has her sights set on one thing. A ring. 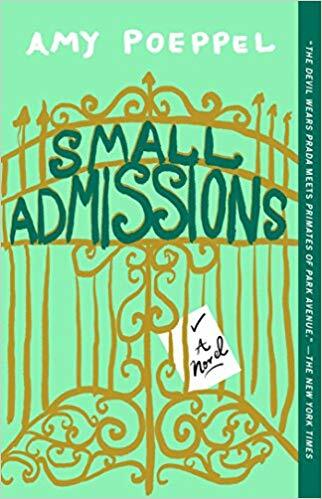 While retreating at her family's seaside cottage to evaluate her life, Jessica finds herself butting heads with Dean Adams, the mayor of Pebble Shores, who isn't thrilled to have the media spotlight shed on their small town. Jessica couldn't imagine anyone being more of a Grinch. Over the Christmas season, Jessica finds herself more enamored with life in Pebble Shores, the community spirit, and to her own surprise, Dean Adams. 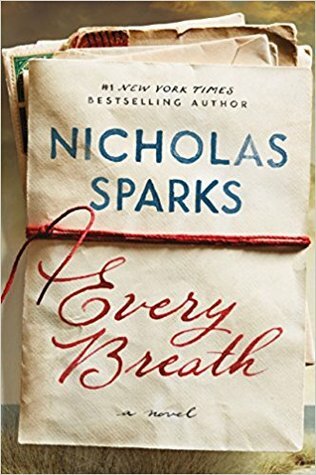 Can a small-town mayor and big-city broadcaster have the romance that Jessica always dreamed of? Paris Mends Broken Hearts is about finding love after loss. Gwendoline Delacroix finds herself fleeing Paris in a desperate attempt to escape the memories that haunt her in her French countryside chateau. Following the aftermath of WWII, she had become a widower and desperately missing her husband, Jean. 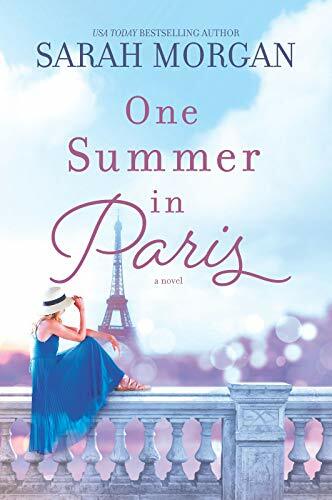 Although her loyal and quirky staff do their best to keep her afloat, Gwendoline eventually takes charge and in a quick turn of events, finds herself at the Hotel de la Belle Paix - the hotel run by her brother and sister-in-law in the Latin Quarter in Paris. Over the summer, Gwendoline finds work at an animal sanctuary run by an eccentric aristocrat. 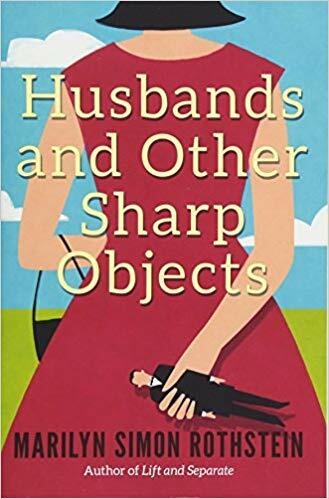 With new friends, an elderly cat, and a glass of wine in hand, Gwendoline proves to herself and everyone else that there is life after lost love. When it comes to holidays, I personally love any occasion that can be celebrated with chocolate. 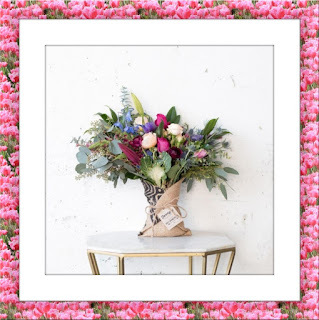 So whether you have someone special in your life, are having a Galentine's Day celebration with your best friends, or are taking advantage of indulging in some me-time, I hope you enjoy! Given the international destinations within Love, Amour, Amore, I thought it would be apropos to feature some of the Valentine's Day traditions across the world. In Germany, while Valentine's Day is certainly celebrated, it is an adults-only kind of celebration. No mass giveaways of Valentine's Day cards in kindergarten for them! The Germans seem split when it comes to giving flowers or chocolate. According to Statista, 48-percent of gift-giving Germans give flowers/plants and another 48-percent give chocolates, pralines, and sweets. Which would you prefer? As they say in Germany, einen frohen Valentinstag! On Valentine's Day in South Korea, it's the women who give men gifts as a token of their affection. But don't worry - these gifts are reciprocated shortly after on White Day, another holiday one month later on March 14th where the men have a chance to shower their loved ones with presents. Another month later on April 14, there is an entire day dedicated to singles! In the small, romantic fishing town of Camogli in Italy, Valentine's Day celebrations are expanded over an entire week! Innamorato a Camogli, or 'Lovers in Camogli', is a week-long celebration that leads up to Valentine's Day where the whole town is transformed into a lover's paradise. You can put your name, along with your sweethearts, on a red paper heart and string it up along the harbour on a fishing net, enjoy art and poetry competitions, and celebrate with a fantastic dinner. Buon San Valentino! It seems like Parisians get to celebrate La Saint-Valentin every day, living in the most romantic city in the world. But they amped up the romance a notch higher in 2017, when the Paris Metro line allowed certain stops to have 15-second love-filled messages broadcast over the train's speaker systems. That would certainly be one way to brighten up your loved ones morning commute! In North America, I remember Valentine's Day as having been a big deal in elementary school. Getting the perfect cards, filling them out for the whole class, and receiving them in turn always felt so special. It always brightened up February! According to Statista, candies, sweets, and chocolates reign as the top gift for adults in the USA at a whopping 63-percent, followed closely by flowers and plants at 40-percent. But the most money spent on Valentine's Day in the United States comes from dining out at a restaurants together. With new traditions emerging each and every Valentine's Day, I can't wait to hear what fun, thoughtful, and appreciative trends come up this year. And ultimately, it doesn't matter how much you spend or what you do, Valentine's Day is a chance to show your significant other, friends, pet, or family just how much you care. How do you celebrate Valentine's Day? 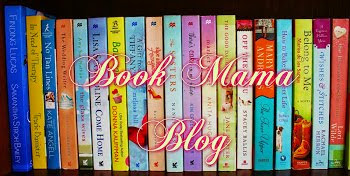 Thanks to Kaya for a lovely guest post and for sharing her book with our readers. 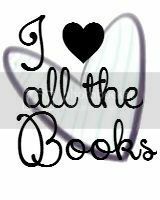 Valentine's Day and Chick Lit--they go together like . . . well . . . hearts and flowers! 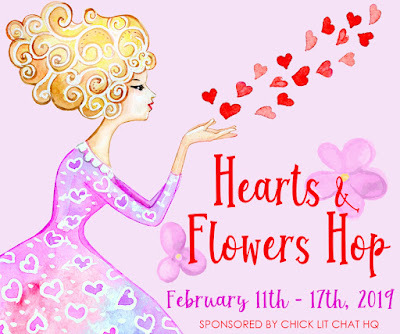 And that's why Chick Lit Chat HQ is throwing the Hearts & Flowers Hop on Facebook to celebrate the most romantic of time of the year. From Monday, February 11th through Sunday, February 17th, we're going all out with (virtual) chocolate and (BYO) champagne, along with lots of luuuuuurrrve--and you can join in the fun at Cupid Central a.k.a. our Facebook events page. We've got 40+ Chick Lit and Romantic Comedy authors giving away all kinds of LOVEly gifts*, including books, swag, gift cards, and Valentine's-themed goodies. Plus, as usual, we'll be handing out one whopper of a Grand Prize* on the hop page--a sterling silver Elsa Peretti Open Heart Pendant from Tiffany's that comes in one of those iconic blue boxes every woman dreams of receiving! 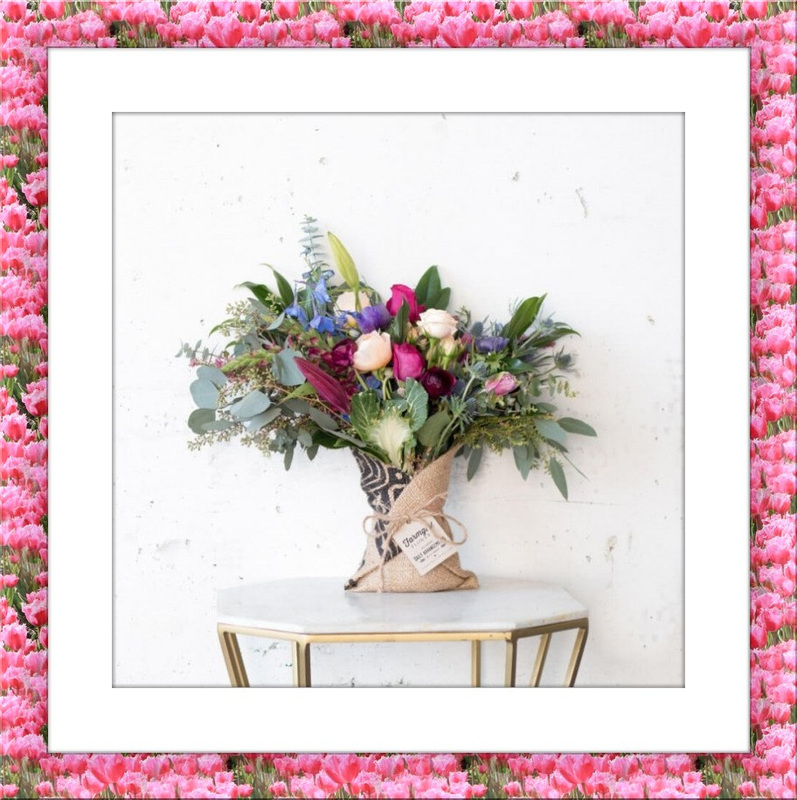 But that's not all, there will also be THREE Runner-Up Prizes* of beautiful, colorful, Fun Size Burlap Wrapped Bouquets from Farmgirl Flowers. What's not to love? 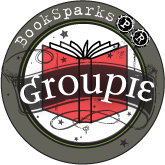 Come party with us, meet some of your favorite authors, and discover some new ones to add to your must-read list! 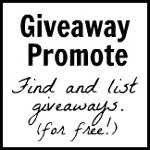 *The Grand & Runner-Up Prize giveaways are open to US residents only. However, all of the individual author giveaways are open internationally.